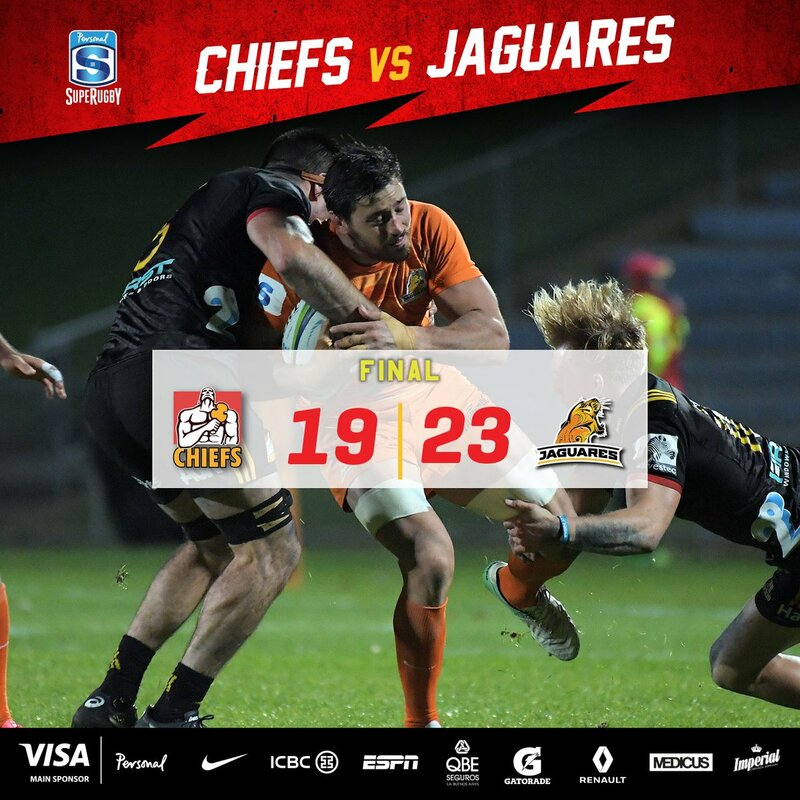 FULL-TIME: The Jaguares have defeated the Chiefs 23-19 with their best run of results ever. 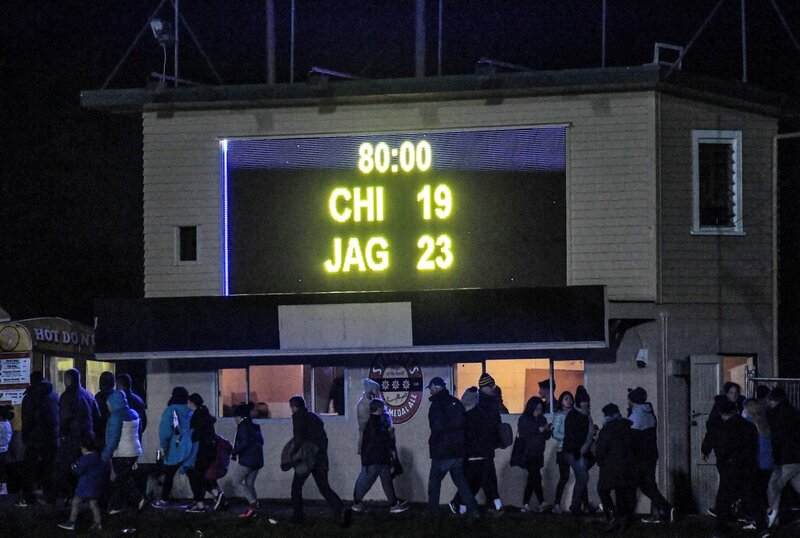 With that final try the Chiefs secured a losing Bonus Point. TRY CHIEFS - Jesse Parete, on debut, get his first career try. Chiefs still pushing in attack. 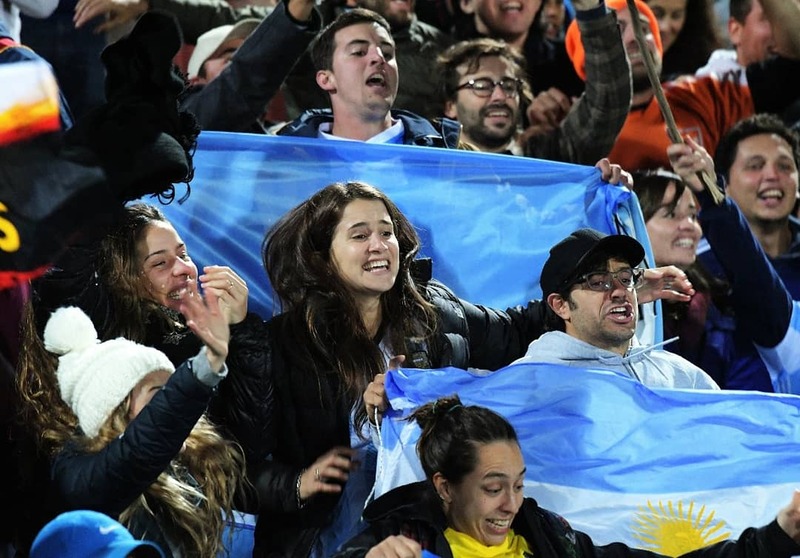 Siren sounds and the Argentinian supporters in the crowd are in full voice. Chiefs get all the way up the sideline to within 10 metres of the try line and then knock the ball forward. Jaguares are over into the opposition half with less than two minutes to go in the game. 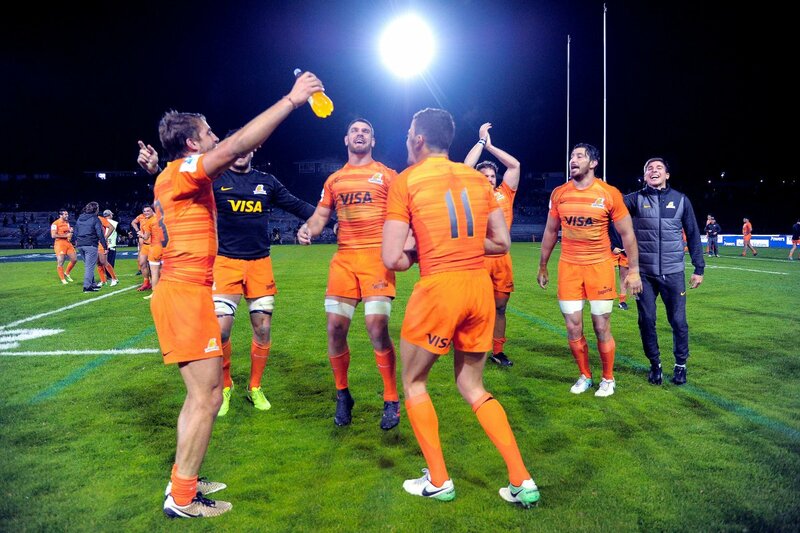 Jaguares retake possession at the halfway line. Free kick awarded against the Chiefs out of the scrum. Chiefs tap the ball on in flight and a knock forward is ruled. Chiefs with the ball and McKenzie heads for the line but is tackled well. Chiefs get the ball from the Jaguares' forward pass. PENALTY JAGUARES - the Chiefs throw in at the lineout is ruled not straight. Opportunity missed for the Chiefs. McKenzie quickly looks to kick to touch close to the try line. GOAL: Jaguares (Nicolas Sanchez) 12-23 - the visitors move to an 11 point lead. Creevy with the lineout throw just 5 metres from the try line. Jaguares kick to the corner. A small game of pushing and shoving moves the focus off the game temporarily. Possession again with the Jaguares now at the halfway line. Jaguares get the ball and kick to clear from the end zone. Chiefs working hard in attack just 10 metres fron the try line. Reverting to initial penalty ruling for offside preceding all that drama. NO TRY - Harris is judged to have knocked the ball on. TMO DECISION - potential knock-on in the lead up to the Chiefs try. Jaguares pushing forward but a knock-on ruled. Boffelli breaks through and again almost makes it to the line and again McKenzie gets the turnover. Creevy with the ball at the back of the maul. Ball into touch and the Jaguares have possession. McKenzie's kick to touch finds the line 10 metres past the halfway and into opposition territory. PENALTY CHIEFS - hands in the ruck and the hosts get the turnover. McKenzie kicks to touch to the halfway line. The effect of being two men down is showing. Jaguares head to the try line but lose the ball forward just short of scoring. The experience of Augustin Creevy is on the field and already in the middle of all the action. SCORE UPDATE: Jaguares lead the Chiefs 20-12. YELLOW CARD - Liam Messam is also off to the sin bin. Lineout throw to the Jaguares just five metres out from the try line. YELLOW CARD - Michael Allardice off to the bin with foul play having been ruled. Jaguares come away with the ball off the high kick and again head into the opposition half. Jaguares drop the ball in the tackle and the Chiefs with the ball on the sideline. Kick to touch takes play to the 22m line in the Chiefs half. MISSED GOAL - McKenzie's kick hits the post. PENALTY CHIEFS - illegal clean-out. GOAL: Jaguares (Nicolas Sanchez) 12-13 as the Jaguares retake the lead. Jaguares on the attack into the CVhiefs half heading for the 22. Ball lost for the Chiefs and the Jaguares have possession. Chiefs with the restart to get the second half underway. Teams are back for the second half and ready to go. A close contest in the first half whets the appetitie for the second - Can the Jaguares pull off another surprise victory over an NZ team? Chiefs with the ball at the 22 in the Jaguares half as the half-time siren sounds. Ball lost into touich off a Jaguares boot. PENALTY CHIEFS - ball intercepted and knocked-on. Box kick by Jaguares to the 10m line still in their own half. McKenzie kicks to clear and puts it into touch past the 22 in the Jaguares half. Jaguares look to make the break upfield but the whistle blows for a knock on against the visitors. Turnover and Jaguares run long and back into the Chiefs half. Chiefs with possession move into opposition territory. Ball into touch so the Chiefs have the lineout still in their own half though. Chiefs with the ball from the restart. PENALTY CHIEFS - front row angling in. GOAL: Jaguares (Emiliano Boffelli) 3-3 ... a massive kick from almost 50 metres out! PENALTY JAGUARES - not rolling away. Jaguares have had the majority of the possession so far but haven't been able to capitalise on the scoreboard. Jaguares' crossfield kick ends up bouncing into touch and Chiefs get the ball deep in their own half. MISSED GOAL - Sanchez kicks well but the ball hits the posts and deflects away. PENALTY JAGUARES - offside after 18 phases for the men in orange. Jaguares regain possession and 'pick and drive' towrads the try line. Jaguares driven into touch in the maul so Chiefs nonw with the lineout throw in deep in their own half. Kick to the corner sees the visitors looking the score the major points. Jaguares defence has been so strong the Chiefs decide to go for the three points rather than pushing again to the line. McKenzie kicks to the corner and Chiefs will look to attack the try line again. Jaguares defence holding strong against Chiefs advance. Jaguares take the loose ball across the touch line and Chiefs have the lineout throw just 5m from the try line. Chiefs with the ball and into the Jaguares half. Jaguares with the kickoff and the first possession after a Chiefs error. It's a chilly but clear night in Rotorua with both teams out on the park ready to get the action underway. 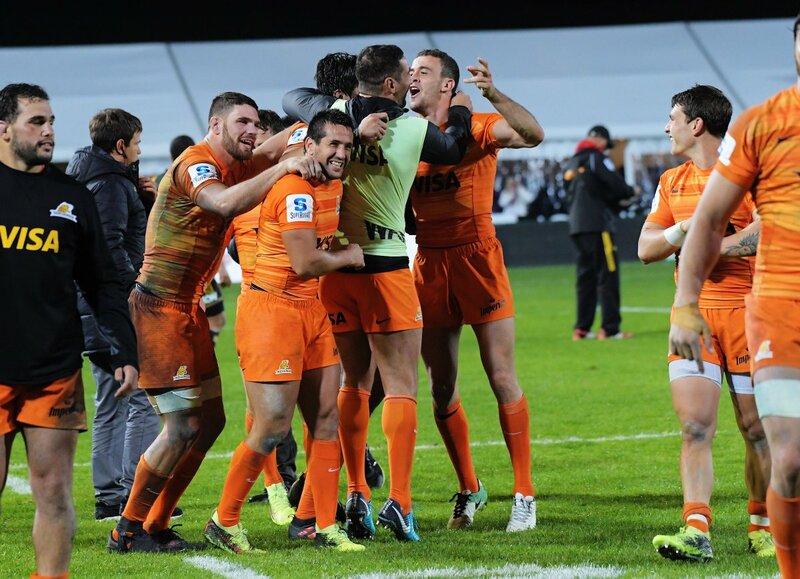 The Chiefs are coming off a week's rest while the Jaguares are on a massive roll - 3 wins from the last 3 matches with a first-ever victory over a NZ team giving the Argentinians a lot of confidence. Welcome to the start of a big weekend in Super Rugby. 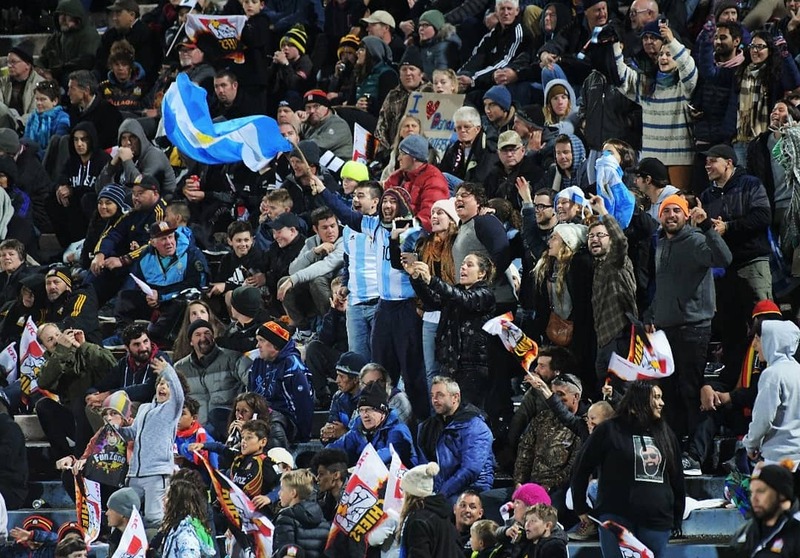 The Chiefs take on the Jaguares at Rotorua International Stadium in New Zealand. ¡Alegría en el vestuario! Así festejaron jugadores y staff la victoria de esta madrugada. Gracias a todos los que nos acompañaron esta madrugada. Ustedes también son parte de este equipo. ¡Mirá la galería de fotos de la tremenda victoria de Jaguares ante Chiefs! 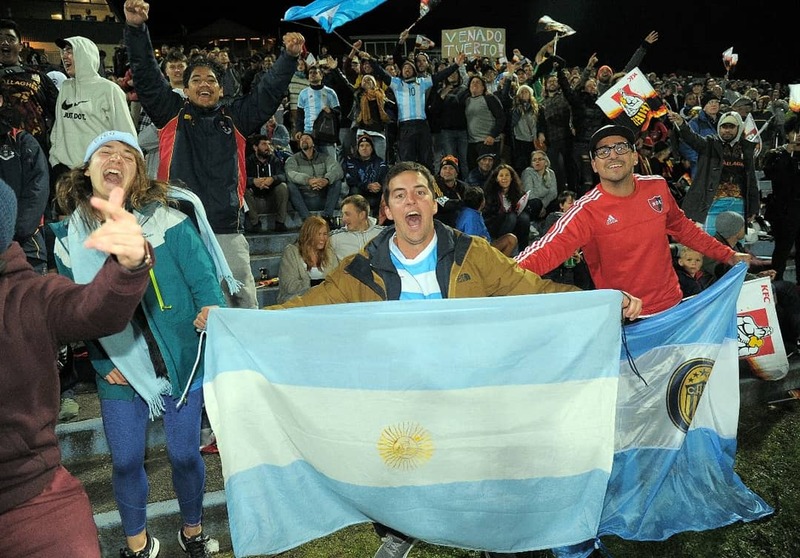 ¡Gracias a todos los hinchas que se acercaron al estadio a alentarnos! 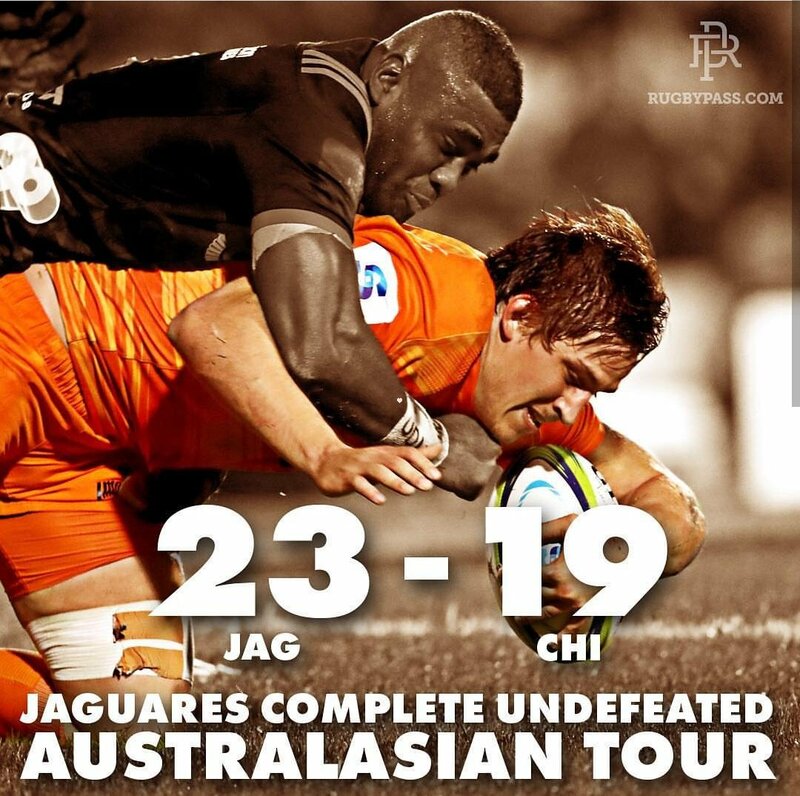 RT @JaguaresARG: Thanks Lads! Always a pleasure to play against you! Ya los esperamos en Vélez para recibirlos con todo el calor. Guido Petti habló luego de la victoria de Jaguares ante Chiefs, en Rotorua. ¡Así se festeja cuando ganas todos los partidos de una gira! Thanks Lads! Always a pleasure to play against you! Scrum para Chiefs dentro de las 22 de Jaguares. 7 minutos más de concentración, y es el momento de decir la verdad. Metro a metro avanzan los forwards y ganan un penal. Ahora los locales tendrán un line out a favor dentro de las 22 de Jaguares. Scrum para Chiefs a metros del ingoal de Jaguares.